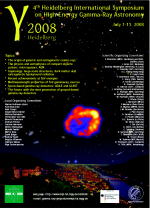 "Von explodierenden Sternen und schwarzen Löchern - Astronomie mit Gammastrahlung"
The 4th Heidelberg International Symposium on High Energy Gamma-Ray Astronomy took place July 7-11, 2008, in Heidelberg, Germany. The basic objectives and the format of the symposium have been similar to the three previous (1994, 2000 and 2004) conferences. All the major observational and theoretical aspects of the field with an emphasis on the high (GeV) and very high (TeV) energy intervals of the electromagnetic spectrum have been covered. The topics of the Symposium have ranged from the origin of galactic and extragalactic cosmic rays to the physics and astrophysics of compact objects (Pulsars, Microquasars, AGN) and cosmological issues related to Large Scale Structures, Dark Matter and Extragalactic Background Radiation. Finally, we have had a special session for discussion of scientific objectives and practical developments related to the next generation of ground-based gamma-ray detectors. Proceedings can now be uploaded using the web interface on the Autor's Instructions page. Impressions of the conference can be found here. 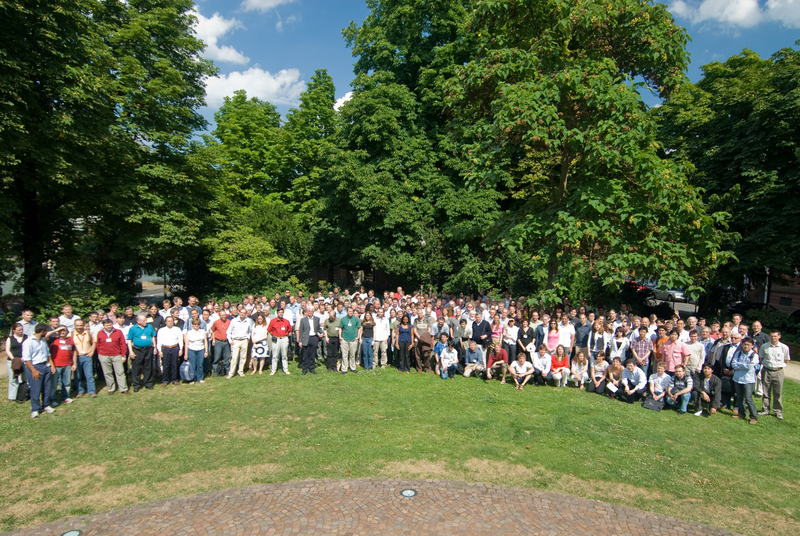 For a high-resolution version of the conference photo see here. The preliminary conference schedule can be found here. The 4th announcement of the conference can be found here. Please complete your abstract submission before May 15, 2008. The 3rd announcement of the conference can be found here. For reduced registration fees, please complete your financial registration before May 31, 2008. The 2nd announcement of the conference can be found here. The first circular outlines the purpose and basic structure of the conference. Prior to the official registration, pre-registration can be used to notify the organisers about your intended participation. Please register as soon as possible to facilitate the organisation process.